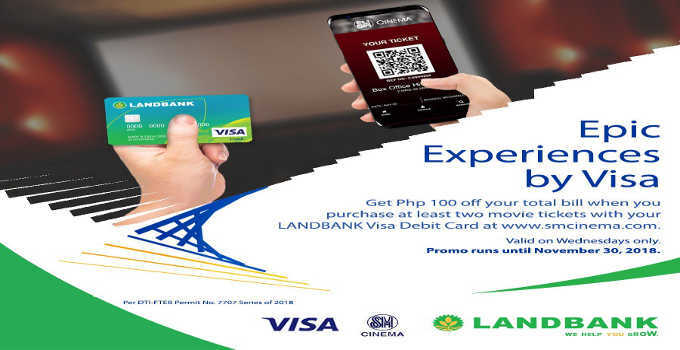 The Landbank of the Philippines, one of the biggest bank in the country, has announced the released of the landbank EMV Card. The Landbank EMV Card will replace the magnetic stripe landbank visa debit cards and landbank regular ATM cards which will be deactivated on July 31,2018. EMV cards are primarily designed to prevent fraudulent transactions that take place when someone physically swipes a counterfeit card at a payment terminal. Here are the reason why the new landbank visa debit and landbank regular ATM cards are better than the magnetic stripe visa debit card and regular ATM cards. Landbank of the Philippines said that to accommodate the extended release of the EMV enabled visa debit and ATM cards, landbank branches will be open from 8:30 AM to 3:30 PM. You may also claim your Landbank EMV-enabled cards on weekdays during regular business hours, from 8:30 AM to 3:00 PM. Bring one (1) valid ID to claim your EMV-enabled Landbank Visa Debit Cards and Landbank regular ATM cards from your branch of account. You can also request from the landbank branch nearest to you but the release of the EMV-enabled card will take 10 days. Landbank encourages you to claim your landbank EMV card before the deadline to avoid inconvenience.